There are government standards that must be met to keep ensure that the stripes on the roadways are visible to help prevent accidents. 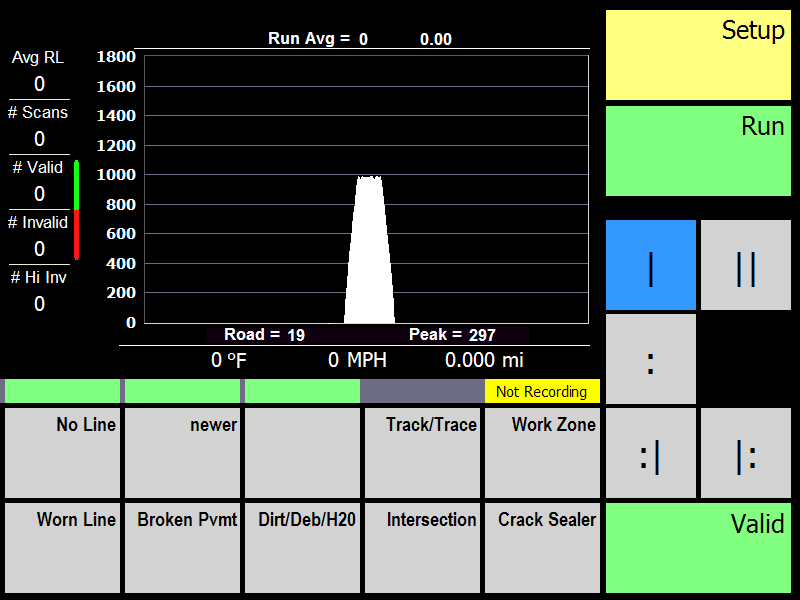 The customer needed a system to measure and analyze the retroreflectivity of the stripes at driving speed. The system also needed to collect GPS data and record video of the entire process with data overlaid. The laser scanner hardware already existed from an outdated DOS-based system. The hardware worked but the customer needed a total rewrite of the software to move to Windows and add new features. We created a system of three interconnected computers that work together to collect and process the data. This system was created using National Instruments DAQmx boards for I/O interfacing. The software was developed in LabVIEW. Online data access developed with PHP, MySQL, and Google Maps.